We can’t help but smile when we see these amazing women from Delta Sigma Theta! 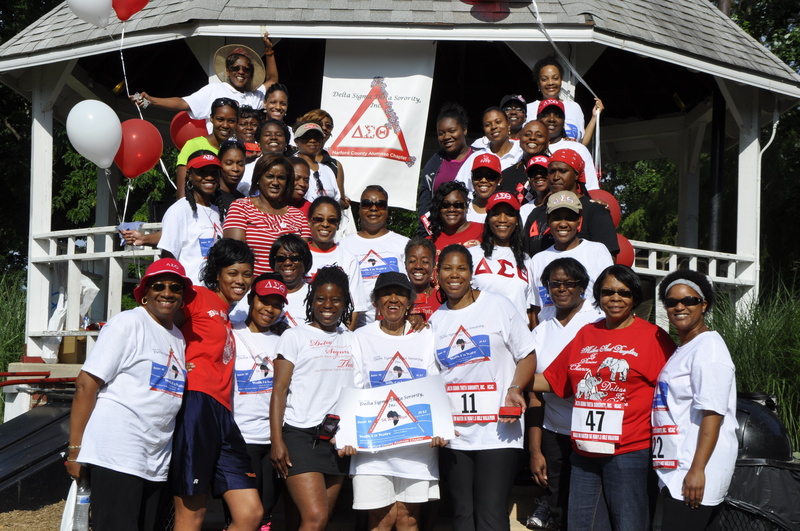 Over 100 people participated at the Harford County Alumnae Chapter’s (DST-HCAC) annual Walk On Water 5K this past July, and the pictures tell the story. They know how to have fun while raising money for clean water! 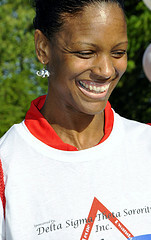 Delta Sigma Theta is “A Sisterhood Called to Serve”. Four core principles of the sorority are Courage, Hope, Wisdom, and Strength. To-date, over ten Delta Sigma Theta chapters have donated to the clean water projects we do, raising over $15,000 when combined. For the Harford County Alumnae chapter, by hosting this community-based event, the 100 participants in Maryland are unlocking the potential of over 350 people in a community 4500 miles away in Sierra Leone. But one event wouldn’t do for DST-HCAC. They already have their 2013 event scheduled for June 22nd, and are beginning the planning. Are you in the Maryland area? Mark your calendar and join the team as they walk, run, and laugh to the finish-line of this fabulous 5K. Can’t join them? Support their efforts by giving to their 2013 fundraising page, here. Together we are better; and serving together we are a force.